Minimalism isn’t just about physical space. It’s also a way to increase the psychological space you have. Your attention, focus, and habits need to be structured the same way your things do. Technology and how you use it is a big part of this. Everyone uses technology differently, so there isn’t a one-size-fits-all solution to this, but by starting with the most common devices that most people use we can form a game plan for dealing with tech clutter. Your smartphone is probably the gadget you interact with the most, which makes it most susceptible to becoming cluttered with functions and data that you really don’t need. Our phones do so many things, perform so many functions that they can divide our focus between dozens of tasks, making us less able to perform any one task well. To combat this, we need to spend some time thinking about the true utility that we need from a phone. Next, put each app into a folder that reflects its usage. Bill Paying might contain your banking app, money sharing apps, and a budgeting app, for instance. Or, it might work better for you to include these things in a larger folder for Utilities, with things like the app you use for parking and a ride-sharing app. Remember that these categories aren’t set in stone. If, after using them for a week, you decide a different division might work better for you, reshuffle things to make them work better for you. Next, delete anything that you don’t use frequently. It’s not very much trouble to re-download an app you use a couple of times a year, but it is a lot of trouble to accidentally click on it three or four times a week when you’re looking for something else. You need to start thinking of your time cumulatively instead of incrementally. If you’re one of the thousands of people out there indulging in this simple yet stunning lifestyle, the Aki minimalist slim wallet from Kisetsu is the one material thing worth adding to your life. Think about it. Right now, how much useless junk do you have in your wallet or your purse? Go on, check. It’s very likely that in your wallet alone there are an assortment of old receipts you don’t need to keep, expired gift cards you could get rid of, and that lucky $2 bill that would look much better clipped to your refrigerator. Kisetsu recognizes this quality in people, and the company’s founders, a group of four passionate friends with a mission, have been creating innovative wallets that allow their users to cut back on things that clutter their lives and allow them to focus on the essentials. A deep dive into your hard drive to delete things you no longer use is time-consuming but worth the effort. Use this opportunity to back up your information so that the time you spend on the project is doing double duty for you. Just as you did with your phone, create categories based on utility and rank those utilities by how frequently you use them. If you use multiple computers, take note of how you actually use each machine. You may have one labeled “work” and one labeled “personal,” but that doesn’t mean that you use them that way. If you find yourself paying your bills from the office, leave your banking software there and free up space on your personal computer. Likewise, if you have hundreds of photos on the work computer, they’re probably not doing you any good. Utilize cloud-based storage for as many things as you can so that you have the ability to access them from anywhere. Having cameras on our phones, tablets, and in our pockets has made many people much better and frequent photographers. Memory cards and storage for photos have become valuable space. You’ll need a plan to deal with the photos you take in order to avoid becoming overwhelmed and losing track of what you really want to keep. This plan should take the form of a workflow, a series of steps that you can build into a habit that maintains order in your photos and videos. This can seem daunting, but the process is easily broken down into manageable steps. First, decide what you want to do with your photos once they’re taken. Are you interested in sharing them with the world? Do you print them out to send to friends and family? Are you using your camera as a kind of record-keeping notebook? The function of the photos in your life should dictate your workflow. If you want to share with a wide range of people, research which photo-sharing services will be easiest for your audience to access. If you take most of your photos on your phone, you should be able to share them easily directly from your phone. If you like to edit your photos extensively before using them, your computer will be a better receptacle for them. Choose the programs and tools that suit the utility you’re looking for. Next, you need to decide how you’ll deal with the pictures you don’t want to keep. Are you disciplined enough to delete them quickly? If so, great, just do that. If not, you might want to play with the settings on your camera, phone, or photo software to make sure that photos auto-delete at a certain point. 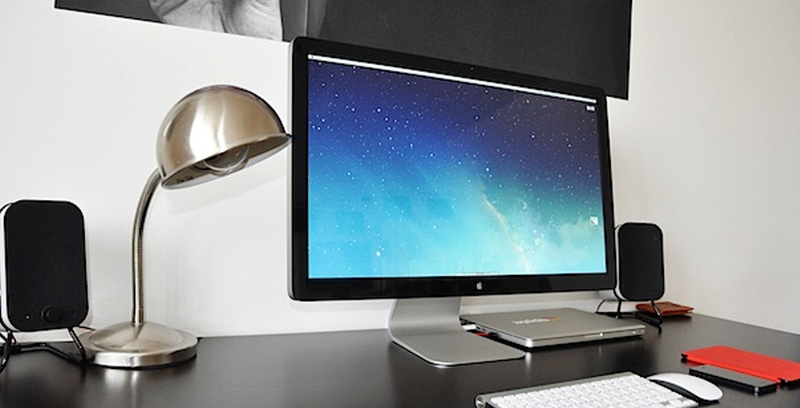 Technology can be a great boon to a minimalist lifestyle. Apply these strategies to tablets, personal digital assistants, and any other technology you use. Take the processes from this chapter and apply them to all of the non-physical spaces in your life. How to Attract More Followers to your Website?